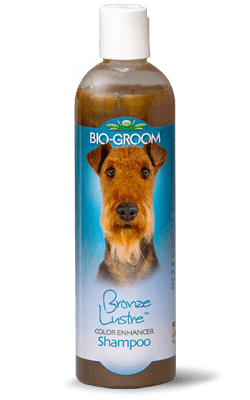 This formula intensifies all shades of brown while thoroughly and gently cleaning and conditioning the coat. Special pearlescent brighteners give the hair a lustrous sheen with sparkling accents! This Coconut Oil base formula, fortified with Protein, gives life and body to the coat. 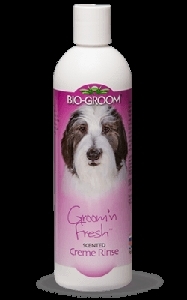 It's rich lather rinses out easily and leaves hair clean, fresh, and easy to manage. Concentrated 8 to 1 with a neutral pH. Ingredients: Purified water, cleansers derived from regrowable and 100% biodegradable sources of Coconut Oil, Sodium Coco Sulfate, Disodium Cocoamphodiacetate, Cocoamidopropylamine Oxide, PEG-4 Rapeseedamide, Cetostearyl Alcohol, Vegetable Glycerine, Hydrolyzed Soy Protein, Panthenol (Vitamin B5), Floral Perfume, Citric Acid, Phenoxyethanol, Yellow 6, Red 40, Blue1.